Waterfall Info: This is the largest waterfall on Holcomb Creek. 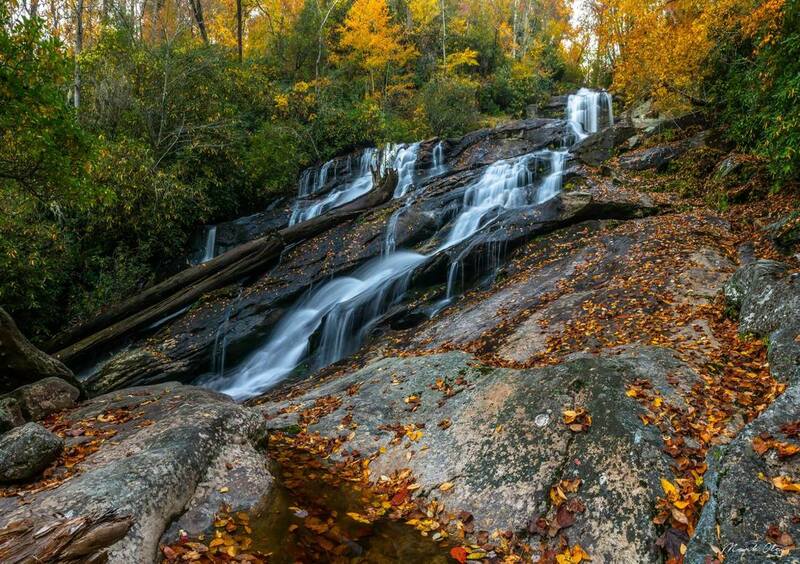 It's one of two easily-accessible waterfalls on Holcomb Creek above Billingsley Creek Road (FS 86B). Access Info: This waterfall is along the moderate Holcomb Creek Trail off Overflow Creek Road (FS 86) and Hale Ridge Road (FS 7).